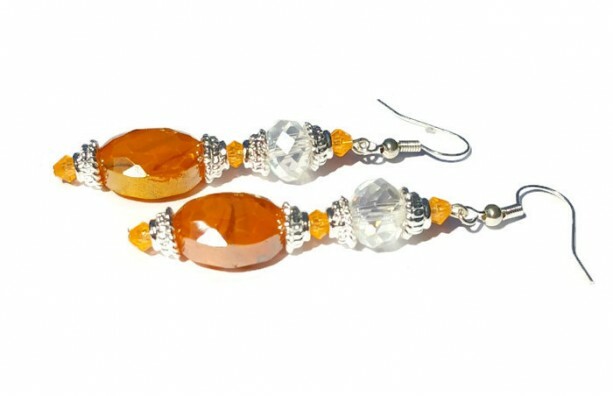 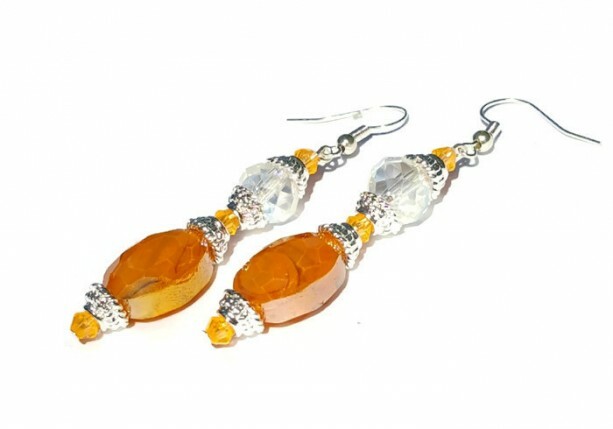 These beautiful earring display an orange faceted oval bead that hangs below a clear faceted bead. 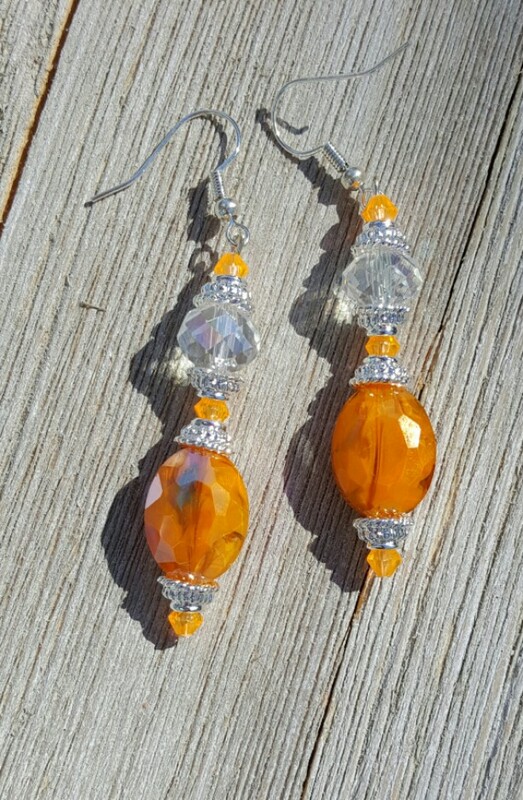 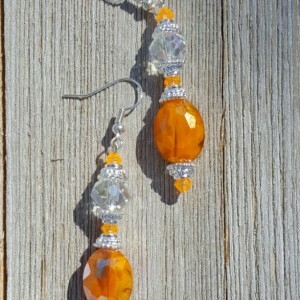 Orange small accent beads along with silver toned bead caps add a classic clean look to these earrings while the faceted beads create sparkle and catch the light. 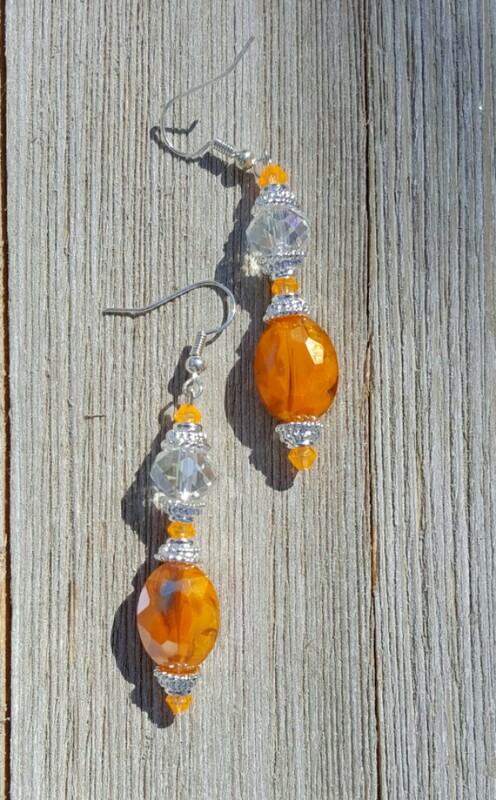 Earrings dangle from silver toned ear wires. 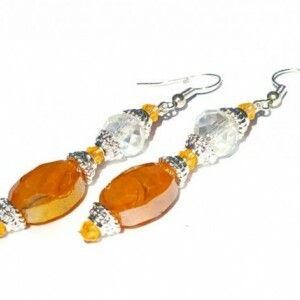 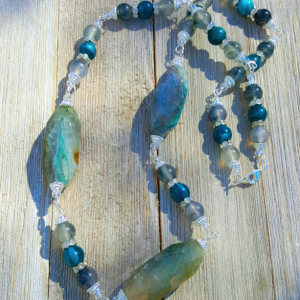 These earrings dangle 1 and a half inches in length. 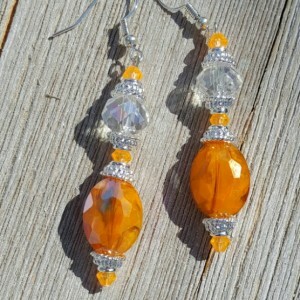 These orange earrings are ready to ship!